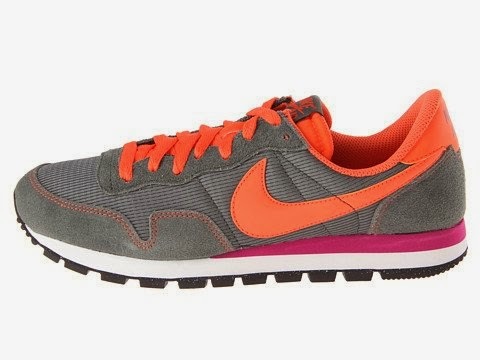 The Nike Air Pegasus '83 ($75 via Amazon.com) is easy to pair with almost anything, thanks to its gray color, and pops of bright orange and fuchsia keep it fun and season-right. Plus, the darker coloration is great for a mom because it'a a little tougher for stains to show. 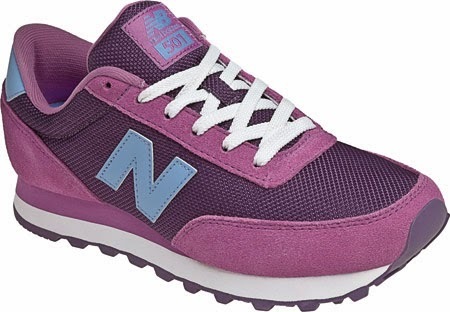 This New Balance 501 Retro sneaker ($59.45 via shoebuy.com) keeps you in step with Pantone's color of 2014- Radiant Orchid. Granted, that's not the color listed for this shoe, but it looks close enough, no? 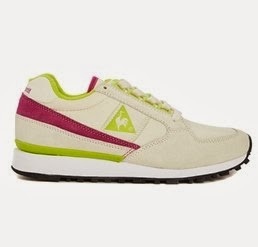 The light color of this Le Coq Sportif Eclat sneaker ($122.32 via ASOS.com) means you'll have to keep a Tide stick or wipes on hand at all times (you do that anyway, don't you?). But c'mon... they're Le Coq Sportif! The ultimate in 80s cool and totally worth the trouble. 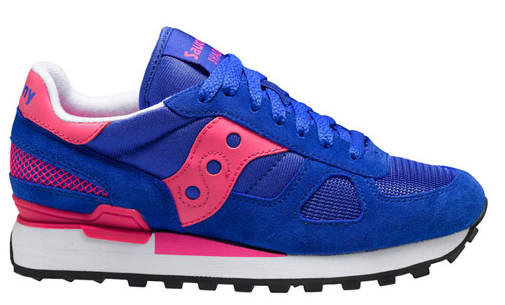 Berry blue and bright pink are a vivid combination on this Saucony Shadow Original ($48.00 via Saucony.com). With it's thicker sole, it may not be the most versatile sneaker, but it's a great bet for a day spent running errands. 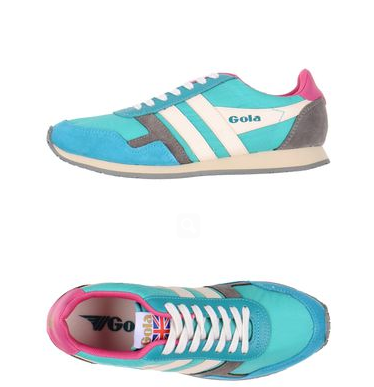 This Gola running sneaker ($69.00 via YOOX.com) makes the perfect wear-with-all because of its sleeker look. Turquoise, gray and white with a dash of pink keep the sneaker feminine without being over-the-top girly. Elise, hopefully one of these suggestions is a step in the right direction. *Shoes N Booze is an Amazon.com affiliate.